John Guthrie is a Research Associate at the Polar Science Center. He works with Dr. Jamie Morison. John received his doctorate in Physical Oceanography at UW. His research included a comparison of recent and historical velocity measurements in the central Arctic Ocean to determine if there has been an increase in interior shear-driven mixing since the 1980s. 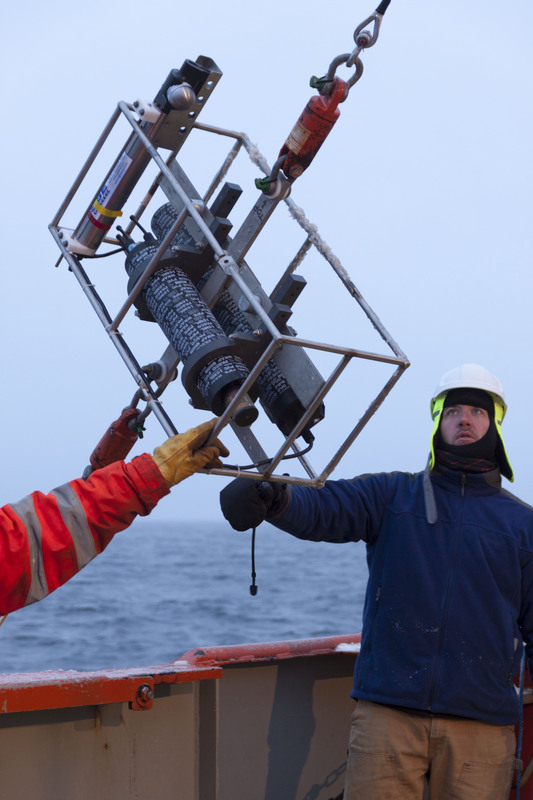 He is currently working on a temperature microstructure data set to assess the applicability of laboratory and DNS based parameterizations of double diffusion in an oceanographic setting. Since starting graduate school, he has participated in a variety of field campaigns, including 3 NPEO field seasons, the NABOS 2013 cruise and multiple SIZRS flights. John graduated with a double major in Mathematics and English from the University of Puget Sound in Tacoma, WA in 2002. He holds a USCG 100 Ton Master’s License and worked as a tour boat captain in Prince William Sound, Alaska before arriving at the Polar Science Center. He likes boats, birds and whales. Peter E. D. Davis, Camille Lique, Helen L. Johnson, and John D. Guthrie, 2016: Competing Effects of Elevated Vertical Mixing and Increased Freshwater Input on the Stratification and Sea Ice Cover in a Changing Arctic Ocean. J. Phys. Oceanogr., 46, 1531–1553, doi: 10.1175/JPO-D-15-0174.1.